People tend to be very much in a hurry when it comes to stowing their beloved devices. In a bid to store things quickly, they tend to miss out on quite a few important aspects. One of them is listing out the things that have to be stored. Sometimes you may just forget that such a thing ever existed in the first place. Hence it is very important that you list things out in a brief and concise manner. The human mind is extremely absent-minded. You normally tend to forget things that are in your house. So how do you think, you‘ll remember where you kept your antique and fancy objects. You may begin to question your own memory and may simply conclude that you gave it off to some other people, while it’s still there somewhere in the package. It is this time that a handy piece of paper with all the things enlisted can come to your rescue. The places in your house that you frequent a lot are the ones where you would be putting up your list. You need to write down all the articles stored in the system along with the place where they are exactly stowed. Places such as the cabinet door or the main door are ideal for the list to be put up. Once you think about a particular object, you should comfortably be able to locate the thing as soon as you see the sheet. Do not write in such handwriting that you yourself cannot read. Write it in a clean and precise fashion that would help you reach out to the required object as quickly as possible. So do not let the objects play hide and seek with you. Win the game and get your work done smartly. Mould growth is really a pain in the neck for all householders as well as those who shift from one place to another. The main reason for mould growth is accumulation of moisture. This can happen when you do not wipe utensils and articles properly before storing them. 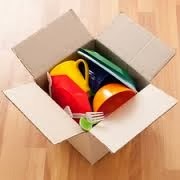 Here we provide you with some simple tips to evade mould growth while storing items. 1. Ensure proper circulation of air - Air circulation is one of the main reasons why mould growth takes place. You can use a variety of things such as exhaust fans in the kitchen and in the bathroom to prevent mould growth. 2. Keep all the articles fresh and dry- Even if it’s a very small thing, simply wipe it off and keep all your stuff clean and dry. 3. Make use of anti-resistant paints – Anti-resistant paints are made to keep all sorts of bacteria at bay. So you can comfortably use them on the walls of your storage unit or houses to not just ward off bacteria but to kill those that are already there too. 4. Keep a watch on any kind of wetness – Be wary of water leakage in all the goods stored. Sometimes food kept in a storage system can get spoilt and it can damage the things around. 5. Check the expiry date of eatables before storing them – Sometimes things that have surpassed the expiry date get spoilt automatically and the bacteria can spread to other items in the storage too.